Diamond professionals swear that Cut is the ‘C’ which has the most influence on a diamond’s beauty,and interestingly enough, it is also the only C that is controlled by humans (a diamond’s color, carat weight, and clarity are dictated from the rough stone found in nature). What most people don’t realize about cut is the extensive amount of consideration that goes into the cutting process. Cut can influence a diamond’s value by up to 50%! The decisions which have the largest affects on the final outcome are made by the ‘planner’ before a single cut is made. When the planner is presented with a rough diamond, the outside has a frosty texture, so he marks a few locations to polish “windows” in to the diamond. These transparent polished surfaces are referred to as windows because they serve as openings for the plannerto look through to try and get the best idea of what is going on inside the diamond. The planner must do his best to see everything and determine the optimal shape, size, and orientation of the soon to be cut diamond. All of these decisions are quite tricky, so only the most skilled and experienced cutters do the planning. Today, diamond cutters use technology that scans the rough diamond to help guide the planner. Through the use of cameras and lasers, planners can be shown the possible outcomes of diamonds and how much weight will be lost . This technology does not replace the expertise and careful consideration of the planner, rather it serves as an additional tool. Remember, every diamond is different,so any rough diamond can have up to nine types of internal characteristics, in any shape, of any size, and in any place. Most rough diamonds are formed as an octahedron so the rough diamond can be optimized by cutting them into two polished diamonds. Once the planner determines the various possibilities, he chooses the diamond that will yield the highest return. In evaluating this, he takes into account current market prices, consumer preferences as certain shapes are more in demand than others. The planner will also need to determine whether it is worth cutting a smaller diamond with fewer inclusions rather than a larger, more included one. For example, a particular piece of rough diamond could be cut in to either a flawless .70ct diamond or a VS1 1.10ct diamond. The job of the planner is to make these tough decisions, based upon what is more valuable and more desirable? This is just the start of the diamond’s journey. Now that its future is planned, it can begin to be cut and polished. The diamond’s brilliance is just waiting to be unleashed. Marc Nanasi with NEI Group is today’s guest blogger. It’s easy to think that diamonds are invincible, after all, they rank as the hardest substance known to man on the Moh’s scale. Unfortunately, diamonds are not without their vulnerabilities. When it comes to diamonds breaking, there is good news and there is bad news. The bad news is that no diamond is impervious to breaking, but the good news is that it is an extremely rare occurrence. The most important step comes when selecting your diamond. Diamonds are formed within the earth and usually have identifying characteristics within them. These characteristics (otherwise known as inclusions) act as a fingerprint foryour diamond, butcertain types of inclusions could compromise your diamond’s structural integrity. The most important things to watch out for are the placement and size of two particular types of inclusions: feathers and cleavages (most AGS reports describe the nature of the diamond’s inclusions, and plot them in a diagram).Both of these inclusions are preexisting natural breaks in the diamond crystal. The difference between the two is that a feather breaks against the grain of the diamonds atomic structure, and a cleavage breaks along the grain. This does not mean that you should pass on every stone displaying these types of inclusions, you should, however, take note and decide whether a piece of the diamond looks like it could snap off. Usually, the risk of breaking a diamond is greater when these types of inclusions are near an edge or point of the diamond, or when they extend to the surface of the diamond. Diamonds break when they are subjected to impact, and sometimes, when there is a buildup of pressure inside the stone (called strain), a slight tap in just the right place (or just the wrong place) will result in the stone breaking so the pressure can escape. 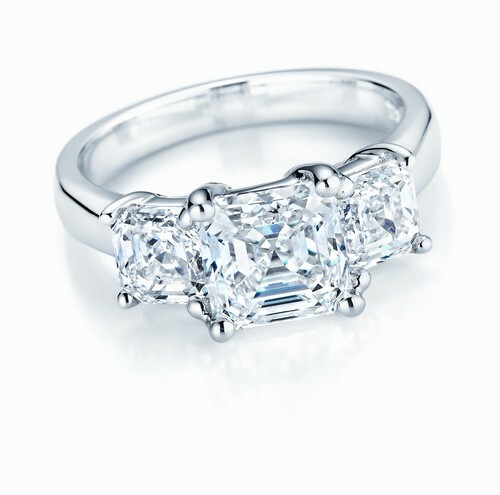 To make matters more interesting, most of the time there is virtually no way to tell if a diamond has internal strain. It is very rare for a diamond to break like this, but it is still important to be careful when wearing diamond jewelry. Take care to avoid wearing your jewelry if you plan to be particularly active with your hands (i.e. rock climbing, boxing, gardening). 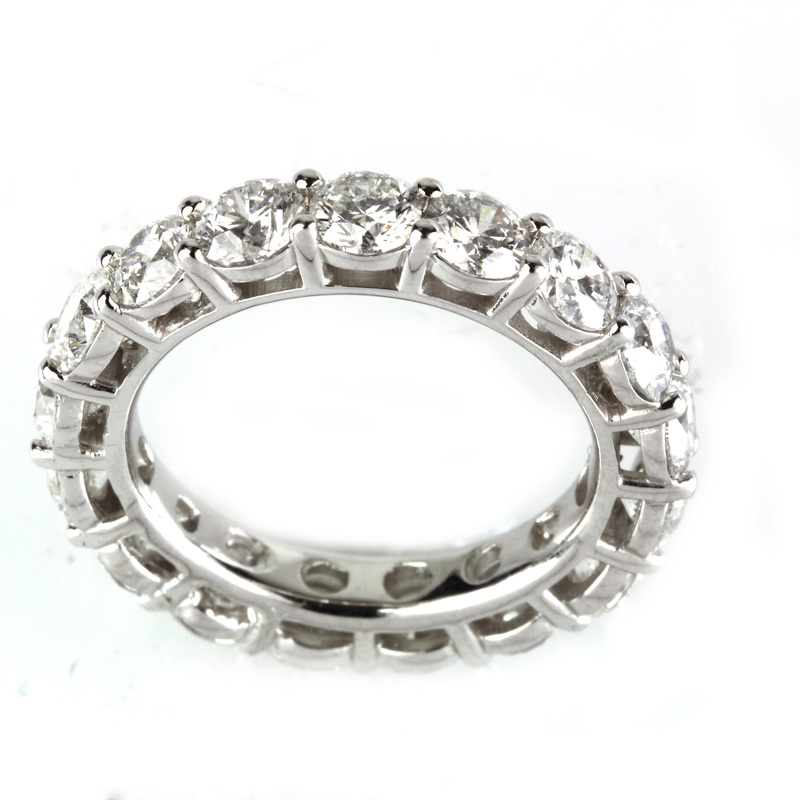 Have a safe place to keep your ring while you do the dirty work! Diamonds are formed through intense heat and pressure, and should be durable and last more than a lifetime, but it is important to care properly for your diamond. Selecting the right diamond and caring for it, will allow you to enjoy it for generations to come.